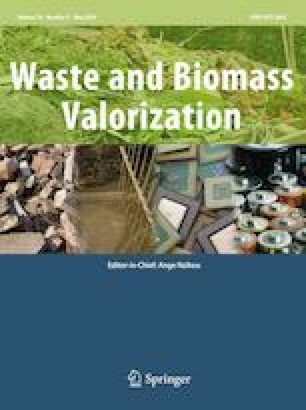 For the first time, a detailed study was conducted on the impact of temperature for the transformation of biowaste to sustainable, porous carbon nanostructures. In this work, we performed green conversion of onion peel waste to carbon nanospheres. The biowaste was pyrolyzed at different consecutive temperatures from 200 to 1000 °C. The shape, size, elemental composition, particle arrangement, surface area and porosity of carbonized material at each temperature were elaborately studied by using FESEM, TEM, EDS, FTIR, XRD, Raman spectroscopy, and BET. The spherical shaped carbon nanostructures started to form from 500 °C; and their size reduced with increase in temperature, i.e., 115 nm (500 °C) to 63 nm (1000 °C). The physical–chemical properties were optimized with the temperature; thus, the nanospheres produced at 1000 °C exhibited superior qualities such as the highest carbon content (~ 91%), largest surface area (2961.90 m2 g−1) and pore volume (2.1 cm3 g−1) in comparison with the nanospheres obtained at lower temperatures. The mesoporous carbon nanospheres formed were crystalline and graphitic in nature as confirmed by XRD and Raman spectroscopy, respectively. 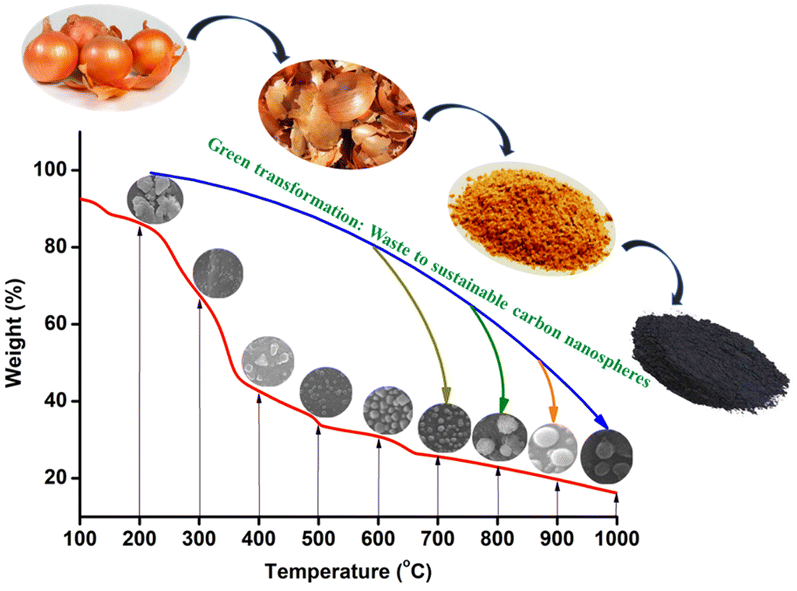 Thus, the carbon nanospheres obtained from onion peels by pyrolysis, provide a platform for the conversion of waste to environment friendly spherical nanocarbons. The online version of this article ( https://doi.org/10.1007/s12649-019-00675-0) contains supplementary material, which is available to authorized users. Dr. Gurumurthy Hegde thanks to Department of Science & Technology (DST) Nanomission Division, Government of India for providing research grant (File Number: SR/NM/NT-1026/2017). The authors would like to acknowledge Ms. Meghana Bhatt and Mr. Aquib Nasir Razi, BMS College of Engineering, for providing the water treatment related results.